15 year-old Daniel Naroditsky has been the #1 chess player in his age category for 5 years. 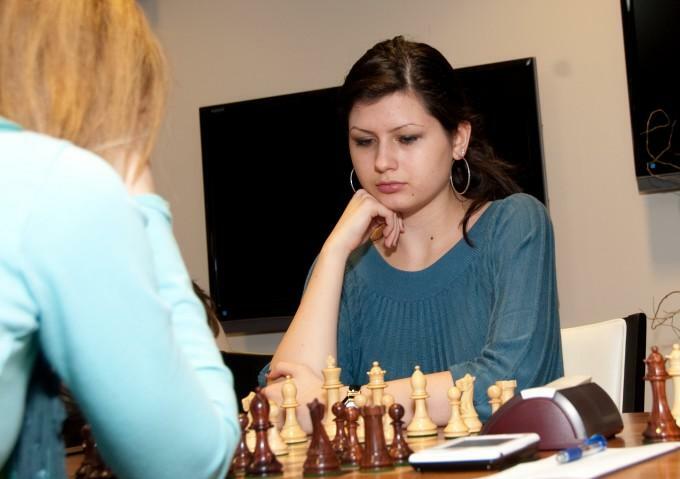 19 year-old Alisa Melekhina is among the top 10 female players in the world. "The Chess Club was an idea three short years ago. We really didn't know what the Chess Club could become, or what it could be like. We didn't realize that we'd be hosting these national events. We didn't realize that we'd be in tens of schools and helping hudreds of kids learn the game of chess. So it really is a dream come true for chess nuts like me." Two of the competition's youngest competitors accompanied Tony Rich on Cityscape today to talk with host Steve Potter. 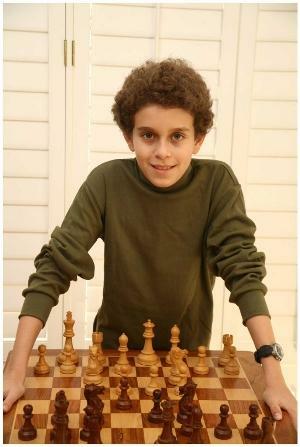 At fifteen, Daniel Naroditsky is the youngest competitor in the U.S. Chess Championship. He's an International Master and he's also the youngest-ever published chess author, with his 2010 "Mastering Positional Chess: Practical Lessons of a Junior World Champion." Naroditsky started playing at age six. "My brother was hooked," Naroditsky said. "At first, I didn't see what was so interesting about it. My brother was crushing me the first times we played, but it hooked me really quickly." Alisa Melekhina hopes to someday become a Grand Master chess player. At age 19, she's also an International Master and the youngest woman in the women's competition. She's also a philosophy major graduating from Drexel University. The two young players agreed that the Chess Club and Scholastic Center of St. Louis (at the corner of Euclid and Maryland) is a world-class destination to play the game they love. Naroditsky called it, "Absolutely, amazingly awesome. Every other good place I've played pales in comparison." The accomplishments of these young competitors are undeniably impressive. But, Tony Rich reminded us, chess is a game that is remarkably accessible to everyone. "Chess isn't as complicated to learn as everyone thinks. There are only six different pieces on the board. You can play a game from beginning to end after 20 minutes of instruction. It's really easy to learn, but it can take a lifetime to master." But it helps to get an early start. Both Daniel and Alisa started play by the age of six. So if you're thinking of picking up competitive chess during your retirement, you might have a challenge in front of you. "Chess really is a young person's sport," Tony Rich explained. "At forty, you're over-the-hill." To hear Steve Potter's entire conversation with Tony Rich, Alisa Melekhine, and Daniel Naroditsky, visit the Cityscape archives.